Every week, I come across some amusing and frustrating anti-vaccine website. Most of them are laughably ignorant of any scientific facts, but that doesn’t stop them, as we all know. Today, I present to you an anti-vaccine quiz brought to you by the Wisconsin Coalition for Informed Vaccination. And by “informed vaccination, ” they mean “misinformed,” since they provide little but ignorance and pseudoscience. Having nothing better to do on a Sunday afternoon, I thought I provide legitimate answers to the anti-vaccine quiz, because that’s the solemn duty of this skeptical feathery dinosaur. I’ll quote their question and answer, then rip the answer into little bite-sized pieces, as is the style of any carnivorous raptor. Anti-vaccine quiz question 1: How many vaccines does a child need in order to attend public school/daycare? Anti-vaccine quiz question 2: How long are vaccines typically trialed before being approved for use? Anti-vaccine quiz question 3: Which vaccines shed virus and for how long? Anti-vaccine quiz question 4: Which vaccines contain more than the FDA approved amount of aluminum? Anti-vaccine quiz question 5: What percent increase in reported fetal deaths took place the year the CDC recommended the flu shot to pregnant women? Anti-vaccine quiz question 6: About how many vaccine patents does the CDC reportedly own? Anti-vaccine quiz question 7: What rank was the US in infant mortality prior to routine vaccination and what is it today? Anti-vaccine quiz question 8: How long after the introduction of routine vaccination did the phenomenon of SIDS come about? Anti-vaccine quiz question 9: Which vaccine does the government knowingly admit to causing chronic arthritis? Anti-vaccine quiz question 10: In what circumstance can you sue vaccine manufacturers? Even in jurisdictions where vaccinations are mandatory for school-aged children, like California, Mississippi, and West Virginia, medical exemptions are always allowed. These type of exemptions usually include individuals who are allergic to vaccines or have other medical reasons for avoiding vaccines. Not a single major religion is opposed to vaccines – religious exemptions are just a method to put children at risk of diseases. Personal exemptions are just another method to game the exemption system. Are we supposed to believe that a parent with a “personal exemption” is more educated about vaccines than physicians, immunologists, epidemiologists, public health specialists, the CDC, the World Health Organization, and just about every single scientists in the world? Hardly. The Wisconsin Consortium of Anti-Vaccine Loons gets this so wrong. Vaccines undergo the typical preclinical plus three phases of clinical trials that almost every drug regulatory authority in the world requires for all drugs. There are some very slight differences between in regulatory requirements for biological medicines like vaccines and other types of pharmaceuticals, but safety, effectiveness, and quality must meet the exacting standards of regulatory agencies worldwide. Vaccines, although a drug, go through a separate approval process called Biologic License Applications (BLA), which covers biopharmaceuticals (or biologics) – pharmaceuticals, like vaccines, that are extracted from biological materials (most pharmaceuticals are synthesized). According to the FDA, vaccines require the same preclinical and clinical studies as any other pharmaceutical. However, the FDA (and other pharmaceutical regulatory authorities across the world) place additional regulatory requirements on vaccines such as lot-level tracking for safety, effectiveness, and quality. The FDA may also demand lots for its own independent testing. Finally, the FDA requires post-licensing clinical and epidemiological studies to continue to monitor vaccine safety and effectiveness. Despite the claims of the anti-vaccine world, clearly, vaccines are more closely monitored than other highly regulated drugs. There are no vaccines that are trialed for “as little as 3 weeks” – this is one of the myths of the anti-vaccine religion. Although this answer is technically correct, like a lot of anti-vaccine misinformation, this one makes it appear that it’s common. It’s not. According to Vaxopedia, “shedding occurs when an infectious agent, typically a virus, can be found in urine, stool, and other bodily secretions. Shedding is not specific to vaccines though. 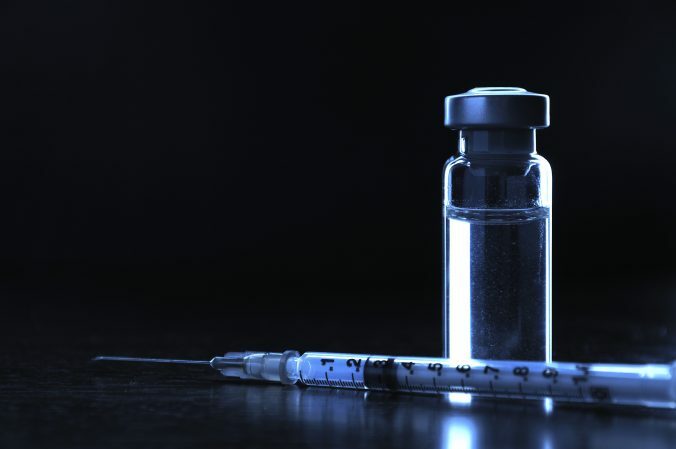 Shedding occurs very commonly after natural infections too, which is one reason they are so hard to control.” However, most vaccines contain “attenuated” viruses, which are incapable of dividing and cannot become pathogenic. These viruses are in the vaccine to induce an immune response. Vaccines that do not cause “shedding” include DTaP, hepatitis A, hepatitis B, Hib, flu (except for the nasal vaccine), IPV, HPV, meningococcal, pneumococcal, and Tdap shots. The Wisconsin anti-vaccine religion gets it all wrong, since DTaP contains no viruses – the vaccine induces an immune response to diphtheria and tetanus toxins, and to the pertussis bacteria. Toxins cannot shed, while the pertussis is essentially ground up. To be fair, chickenpox, MMR, and rotavirus vaccines include live virus, but shedding is extremely rare. If shedding were such a realistic concern, the measles vaccine would have never nearly eliminated measles in the country. Vaccine shedding would be of concern to immunocompromised individuals, though they are much more frightened of a little child who carries the measles, chickenpox, rotavirus, and other viruses. Once again, the anti-vaccine world vastly overstates risks while vastly understating benefits. In other words, shedding happens, very rarely. Of course, the Wisconsin anti-vaccine zealots use shedding as their strawman argument to convince the world vaccines are dangerous. They are wrong. First, a little background is necessary. Basically, aluminum in vaccines, in the form of aluminum hydroxide, acts as an adjuvant – a chemical that enhances the immune response of vaccines. Not all vaccines use aluminum hydroxide as an adjuvant, and not all vaccines require adjuvants. Adjuvants are employed to reduce the quantity and doses of vaccines necessary to induce an appropriate immune response, which should be a good thing for the anti-vaxxers. Second, the amount of aluminum in vaccines are tiny, measured in micrograms (µg), or 1 millionth of a gram. Third, there is no evidence that the minuscule amount of aluminum in vaccines has any biological effect compared to the relatively large amount of aluminum that is ingested or inhaled since aluminum is the third most common element on the planet. Yes, mother’s breast milk contains several times the amount of aluminum that is found in vaccines. Finally, despite the internet myths, there really isn’t much evidence that aluminum, especially in environmental levels, has much effect on neurodevelopmental conditions. Aluminum is not causally linked to Alzheimer’s disease. And it is not causally linked to autism. Of course, vaccines aren’t causally linked to autism, so there’s that bit of science. So, more misinformation from the Wisconsin Anti-Vaccine mob. This is a ridiculous answer that has no scientific or medical meaning. American members of the anti-vaccine religion love to use passive data from the Vaccine Adverse Event Reporting System (VAERS), a system where individuals can report supposed adverse events post-vaccination, to “prove” certain adverse events. The reports can be made online, by fax or by mail. However, there are no investigations to show any type of causality between the vaccination event and the claimed mortality that are reported to the VAERS database, and, frankly, it can be gamed by those with nefarious intentions. VAERS is a feel-good system for those who think that there’s a link between vaccines and something terrible, but without an active investigation, the data is just above the level of totally meaningless. Most epidemiologists know it is valueless. Even the VAERS system itself says that the data cannot be used to ascertain the difference between coincidence and true causality. There is a background rate for mortality, across all causes, irrespective of whether an individual is vaccinated or not, and unless you understand the background rate, the vaccine “mortality” rate has no scientific meaning. In fact, we could provide a Starbucks coffee drinking in the car “mortality rate”, which may or may not have any causality whatsoever. In fact, several peer-reviewed studies have shown that fetal outcomes are substantially improved in pregnant who receive the flu vaccine because any type of infection during pregnancy can be detrimental to fetal development. Can that be any more clear to the Wisconsin anti-vaccine rabble? Dumpster diving in VAERS is not a science with respect to the flu vaccine. Another laughable strawman argument from the logically-challenged folks at the Wisconsin anti-vaccine society of pseudoscience. Yes, the CDC owns patents, because if employees in the Federal government invent something, the government wants to protect its intellectual property. One of the persistent myths about a patent is that it confers a right to manufacture something – that’s not how patents work. Patents describe, in detail, all aspects of the intellectual product. They list out claims (in numerical order) that the inventor thinks are critical and unique features of the invention. The patent also describes related patents, which may or may not be crucial to the one being proposed. A patent can be on a product, but it also could be a process that makes a product. In other words, you could patent a technique to manufacture a product that is unique from other processes. Generally, to manufacture one vaccine, the pharmaceutical company may have to license numerous, maybe 50, patents before it can market it. The CDC lists out all of the technology it has available to be licensed – that’s about 37 patents, which have some reasonable tie to vaccines or the vaccination process. So, actually, the Wisconsin League of Lying Liars who Lie, can’t even get their lies straight. As I wrote previously, the facts are different than the anti-vaccine religion tries to claim. Only one of the top 20 technologies licensed by the OTT was related to CDC research – immunoreactive peptides for use in an HPV vaccine. No, that doesn’t mean it was the basis for all HPV vaccines, it only covered the parts of the HPV which may induce an immune response. f you’re thinking that the CDC will prostitute itself for $5.8 million, well that kind of ignores a basic bit of information – according to the rules of Federal Government, almost all of the royalties must be plowed back into basic scientific research. It does not go into the pockets of anyone. But let’s take a reality check – the CDC budget is over $7 billion (pdf), so this royalty makes up less than the 0.1% of the total CDC budget. The Wisconsin Anti-Vaccine crackpots want us to believe that the CDC pushes vaccines just to earn a measly $5.8 million dollars, basically rounding error in the accounting for a huge federal agency like the CDC. I imagine all the labs at the CDC throw away $5.8 million in micropipette tips every year. And I’m not joking. This is a laughable fallacy. This answer is an epic fail on so many levels I cannot decide between laughing out loud or crying loudly. Maybe both. I’m going to set aside the issue that this claim from the Wisconsin Association of Anti-Vaccine Nutjobs is unsourced. But I’ll let that pass because even if it were accurate, it has all the meaning of nothing. According to the CDC, the infant mortality rate in 1915 was around 100 per 1000 live births. Yes, in the pre-vaccine era, 10% of children died in infancy. Go visit any cemetery from the 1900s, and you’ll see numerous children buried who died before they turned 5. It is estimated that in 2018, the infant mortality rate is around 5.52 per 1000 live births – for those who are counting, that’s a 95% decrease. Most of that decrease is a result of improved healthcare and, wait for it Wisconsin Club for Anti-Vaccine Horse Manure – vaccines. Yes, the USA ranks very high in infant mortality compared to other developed countries. But that has more to do with institutional racism, lack of access to healthcare, poverty, and insufficient prenatal care. Simply put, most industrialized countries give its citizens superior health care access, while the USA doesn’t – that’s a condemnation of American right-wing politics, not on vaccines. Maybe if Wisconsin and a few other states had stayed Blue, we wouldn’t have that Soviet lapdog as President, and we could have worked on improving healthcare access for all Americans. Of course, that’s another story for another time. Another ridiculous logical fallacy from the Wisconsin Association of Anti-Vaccine Creeps. First of all, what does it matter when SIDS (sudden infant death syndrome) was first termed? It’s more than likely that it wasn’t identified in the first half of the 1900s, much like records from that time period vastly understated cancer as a cause of death. Immunisations are associated with a halving of the risk of SIDS. There are biological reasons why this association may be causal, but other factors, such as the healthy vaccinee effect, may be important. Immunisations should be part of the SIDS prevention campaigns. Furthermore, scientific research has shown that the risk of SIDS has decreased by about 61% from 1988 through 2006 as a result of powerful campaigns to advise parents to let their infants sleep on their backs. This decrease occurred despite the increase in the number and types of vaccinations. In fact, there seems to be strong evidence, as mentioned above, that vaccines actually reduce the risk of SIDS. Another lie from the Wisconsin anti-vaccine quiz down the drain. Another unsourced claim from our friends at the Wisconsin Guild of Anti-Vaccine Perjurers. The prestigious US National Academy of Medicine investigated the science behind the claim about the MMR vaccine and chronic arthritis. Do you know what they found? That would be nothing. They stated, “the evidence is inadequate to accept or reject a causal relationship between MMR vaccine and chronic arthritis in women.” In case you don’t know how to interpret scientific-speak, the statement says there is no evidence to support a causal link between the vaccine and chronic arthritis. Please don’t fall for the old appeal to ignorance logical fallacy – the only thing that matters is evidence, and there really isn’t any evidence supporting the claims from the Wisconsin Union of Anti-Vaccine Nonsense. Per usual in this review. Let’s use facts, a term that seems to be outside of the vocabulary of most anti-vaccine fanatics. The National Vaccine Injury Compensation Program (NVICP), or the Vaccine Court, was established by Congress in the 1986 National Childhood Vaccine Injury Act. The court is funded by a $0.75 tax on every dose of vaccine used in the USA. It allows plaintiffs to claim “table injuries,” which are a list of adverse events that may be related to vaccines. If a child has a table injury, it makes it easy for the parents to make a claim. These would not be allowed in civil court. The NVICP pays for most of the legal costs of bringing a claim, something that never happens in civil court. The NVICP has lower standards for winning a claim than state or Federal civil courts. Nevertheless, there are no laws that preclude someone from bringing a lawsuit in state or Federal courts against a vaccine manufacturer. But most attorneys know that it’s much easier to bring those cases to the Vaccine Court. Furthermore, decisions of the Vaccine Court can be appealed all the way to the Supreme Court. And one more thing. The mounting lawsuits, based mostly on specious claims, did not threaten to “disable pharmaceutical companies.” All it was going to do was cause these companies to withdraw vaccines from the American market. Obviously, the government didn’t want mass outbreaks of deadly and dangerous vaccine-preventable diseases among children, so they created a fair system to adjudicate claims. And once again, the Wisconsin Syndicate of Anti-Vaccine Gibberish gets it all wrong. And learn to spell, it’s “government’s” not “goverment’s” – why is it that science deniers can’t spell? Out of 10 questions, the Wisconsin Consortium of Anti-Vaccine Bigots got maybe a couple partially (and by partially, I mean about 10%) right. Otherwise, everything else was misinformation, misdirection, or outright fiction. Science deals in facts and the consensus of real scientists who have spent tens of thousands of hours studying the science of vaccines has stated that vaccines are incredibly safe and incredibly effective. They prevent diseases that used to kill 10% of children during their infancy. This Wisconsin group can make up all the misleading information they want to answer their laughable anti-vaccine quiz. But it gave me a chance to snark on their deceptive answers. It was enjoyable, and I hope my loyal readers have some fun. Previous PostPrevious Anti-vaccine fraud gets four papers retracted – who is surprised?